“Because he was an active revolutionist, Marx was the best hated and most calumniated man of his time. He was shown the door by various governments, republican as well as absolute. Bourgeois, ultra-democrats as well as conservatives, vied with one another in spreading libels about him. He brushed these aside like cobwebs, ignored them, only troubled to answer them when he positively had to. Yet he has gone down to his death honoured, loved, and mourned by millions of revolutionary workers all over the world, in Europe and Asia as far eastward as the Siberian mines, and in America as far westward as California. I can boldly assert that, while he may still have many adversaries, he has now hardly one personal enemy. A group of leading anarchists, including Peter Kropotkin and Jean Grave, publish a manifesto supporting the ‘Allied’ (Russian-British-French) imperial powers in the war against German-Austrian imperialism in the First World War. The original statement is signed by 15 prominent anarchists; another 100 sign later. The SS Columbia Eagle incident. Two American merchant marine sailors, Clyde McKay and Alan Glatkowski, use guns they have smuggled on board to take over the SS Columbia Eagle, an American supply ship carrying napalm to US bases for use in attacking Vietnam. 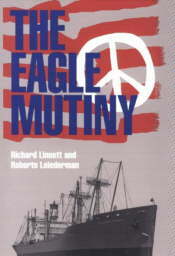 The sailors force the ship to sail into Cambodian waters, and then ask for asylum. About Napalm: Napalm, the production and use of which was condemned by the Stockholm War Crimes Tribunal, is a form of jellied gasoline used by the United States in aerial bombing of ‘enemy’ peasant villages in its war against Vietnam. When it hits and ignites, the burning napalm splatters over a wide area, consuming every burnable thing which it strikes, including especially human flesh. An added feature that makes the use of napalm especially vicious is that flesh ignited by napalm is extremely difficult to extinguish. Water doesn’t work. People hit by it keep on burning. Napalm is particularly indiscriminate because the fires it causes continue to spread, destroying everything in a large area. It is also effective against people hiding in bomb shelters or tunnels because it suddenly pulls all the oxygen out of the tunnel by its enormous gulp of combustion, thus suffocating anyone inside.